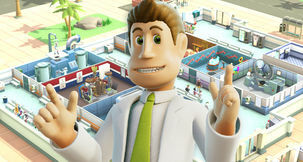 Two Point Hospital, the successor to Theme Hospital, has a release date of August 30, so there's not long to go. 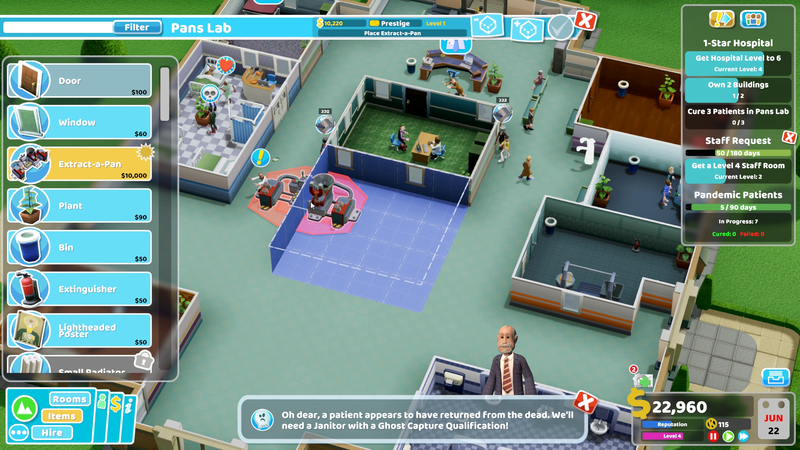 Like most games these days, developer Two Point Studios aims to support the game with post-launch content, but what form will Two Point Hospital DLC take? 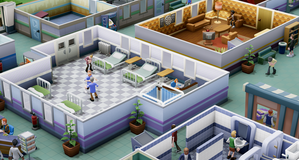 We recently talked with Technical Director and Studio Co-Founder Ben Hymers and Art Director Mark Smart, and they told us about their DLC plans for Two Point Hospital - which just seem to be in the ideas stage right now, but will be "old-fashioned" expansions, or "big, crafted chunks of new content." Mark told us, "we’ve got ideas, but ideas have to be worked on as well. 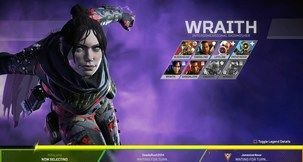 We don’t want to drip-feed DLC, we want to do substantial packs. 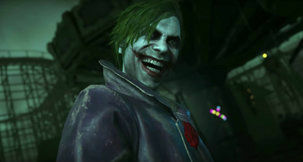 We don’t like microtransactions." 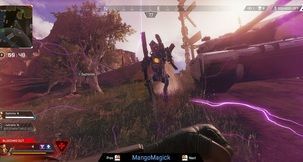 Ben agreed that they only plan to include larger expansions. "We’re old-fashioned like that. 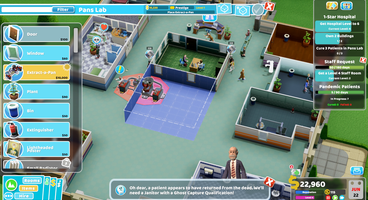 We like the idea of expansion packs - we want big, crafted chunks of new content." 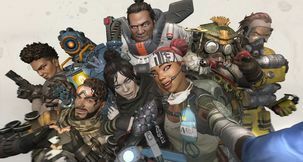 So no Day 1 DLC or pre-order stuff? Well, not quite, but at least it'll be free. "All we’ve got is the Golden Toilet for the people who’ve signed up for the Hospital Pass. That’s literally the only extra thing we’ve got." 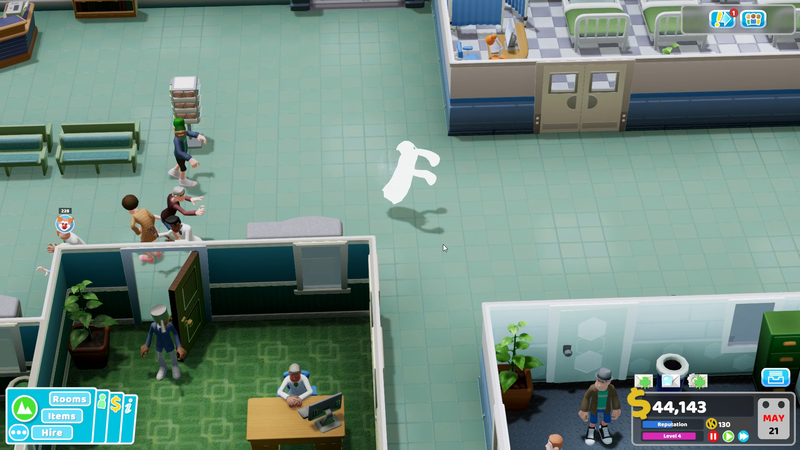 You can sign up for the Hospital Pass and get the mythical Golden Toilet DLC on the game's website. 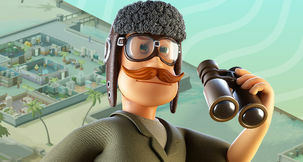 You don't have to pre-order the game or anything. 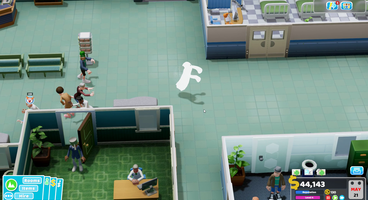 You'll certain want to, as Two Point Hospital is really looking great. 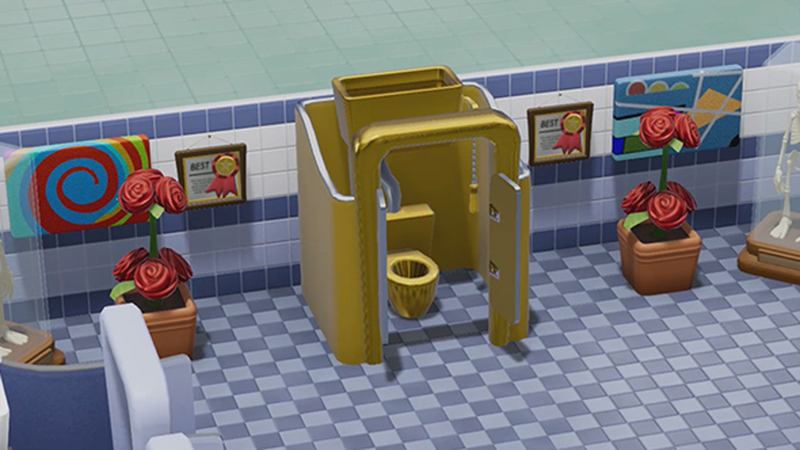 Seriously, we can't wait, and yes - we're getting that toilet. 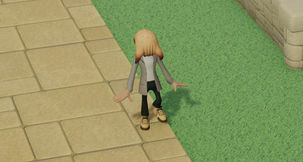 You can check out our exclusive gameplay for it below (the game, not the loo).